Tammy's Blog: Part D of the Form 1: to sign or not to sign? An email has recently been circulated from Consumer & Business Services with respect to Conveyancers signing Part D of the Form 1 on behalf of Real Estate Agents and the risks associated with defective statements. Tammy Edwards clears up any confusion in today’s blog. Firstly, it is important that we point out that there has been no recent change in legislation. The Commissioner has simply sent out general communication to reiterate that an Agent must give the Certificate under Part D of the Form 1 pursuant to Section 9 and that an Agent may either sign that Certificate personally or, alternatively, have it signed only by a person authorised by the Agent to do so. A purchaser’s cooling off period does not commence until an accurate Form 1 has been served. If the document is defective, the Purchaser has the ability to cool off up until settlement. It is imperative that Agents have given authorisation to the company preparing the document on their behalf to sign the Part D Certificate to reduce the risk of the Form 1 being defective. Outsource your Form 1 preparation to Tuckfield Agent Solutions and have Part D signed by us! Our sister company, Tuckfield Agent Solutions ensure all Agents who request us to sign Part D have provided authorisation in writing. We also hold Professional Indemnity Insurance separate to Tuckfield Conveyancing to give you further assurance. 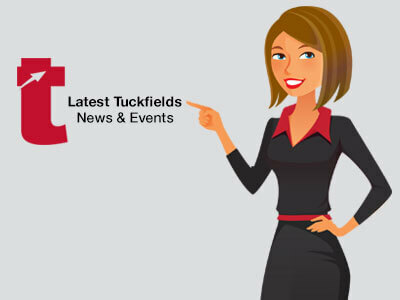 If you would like to outsource the preparation of your Form 1’s, contact Tuckfield Agent Solutions.